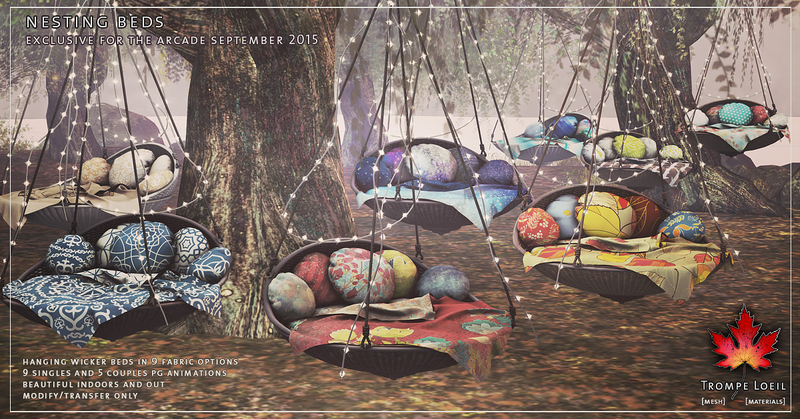 Get ready for autumn! 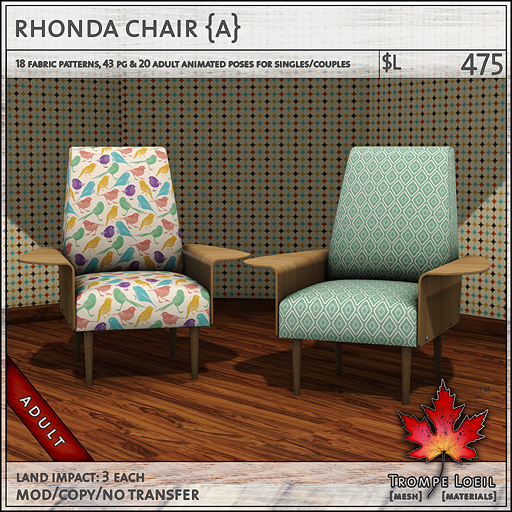 As the weather cools our thoughts turn to curling up with a good friend, or hitting the books with classic collegiate style – Trompe Loeil has both covered, with our new Nesting Beds at Arcade, and the Rhonda Chair & Table Set at FaMESHed! 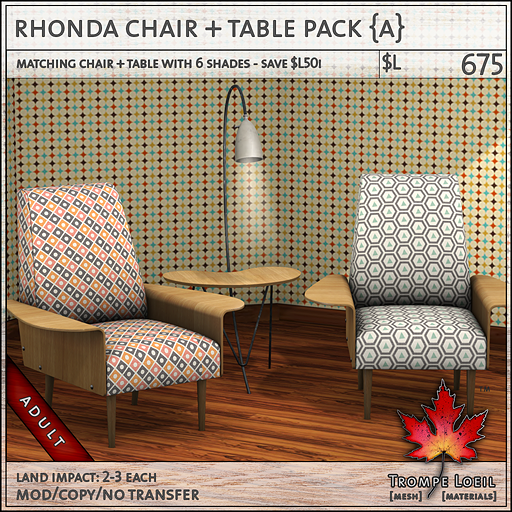 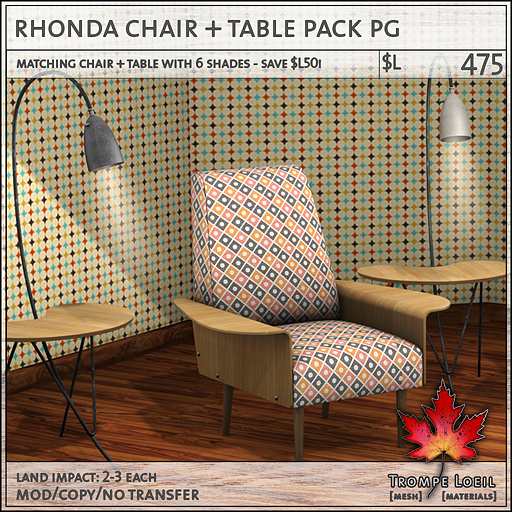 After playing for your favorites at Arcade, head over to FaMESHed and get ready to hit the books with style – our new Rhonda Chair & Table makes a classy midcentury statement in any room! The Rhonda Chair comes in two maturities with tons of animated poses and 18 retro-stylish fabric patterns and colors to choose from. 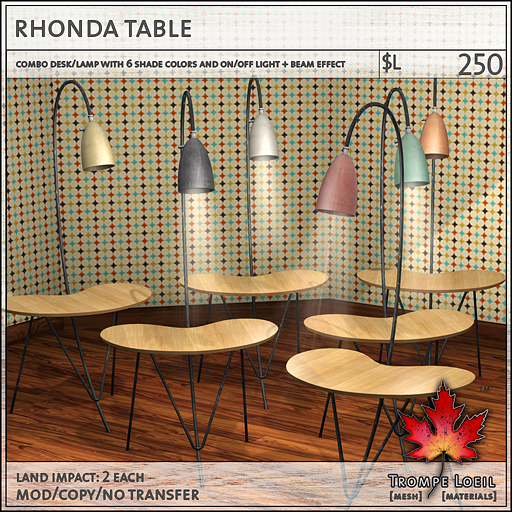 The Rhonda Table is really a table and lamp in one, and includes 6 metal shade colors and lightbeam/hardware lighting effect on touch. 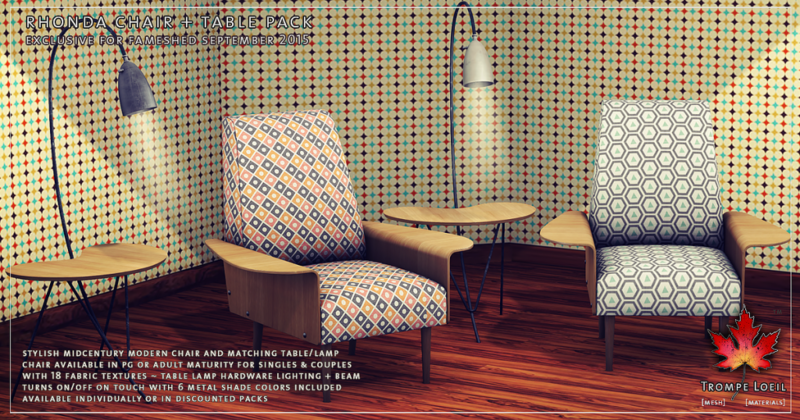 Pick up either, or get both at a discount – only at FaMESHed!